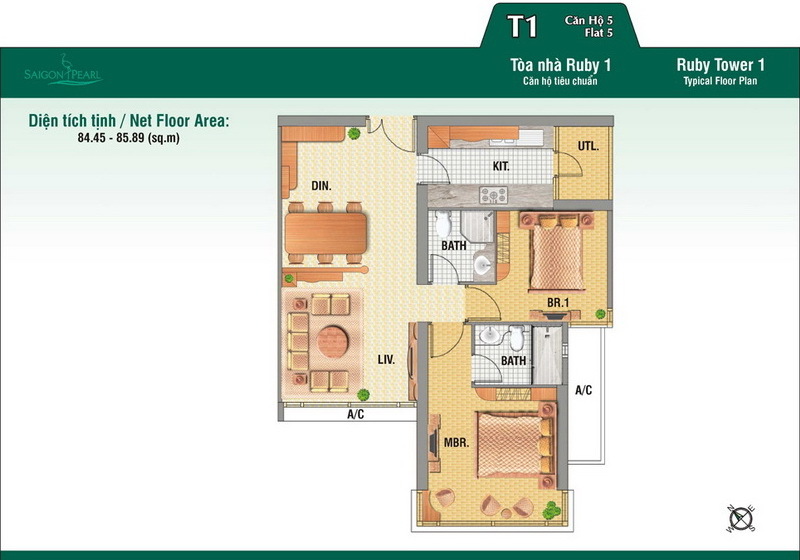 Fully furnished Apartment for rent in Saigon Pearl, 2 bedrooms in 85 sqm, very nice city view, good rental price 1100 USD/month. Block Ruby tower 1. Saigon Pearl Located in the busiest area of Saigon, the main axis of the Center for Finance and Trade City in the future, next to the Thu Thiem Bridge connects directly City with Thu Thiem Center is New in the future Saigon Pearl owns an extremely favorable position that no other project can be compared. Contact us for visiting the apartment. Fully furnished Saigon Pearl apartment for rent, 2 bedrooms, Saigon river and central of Ho Chi Minh city view, very good price 1150 USD/month. Saigon Pearl Apartment for rent has 2 bedrooms, high floor on 19th floor, block Ruby tower 2..
Saigon Pearl apartment for rent in Binh Thanh District, nearly commercial center city, only 1100usd per month Our apartments for lease on the 28th floor, so you can see all the modern city, the beautiful winding Saigon River, creating a very..
Saigon pearl apartment for rent in Binh Thanh, block Topaz 1 Unit 3 high floor (19th floor) City view very nice, 4 bedrooms. This unit has a floor area of 143 sqm and offers 4 bedrooms, 3 bathrooms with nice decoration..